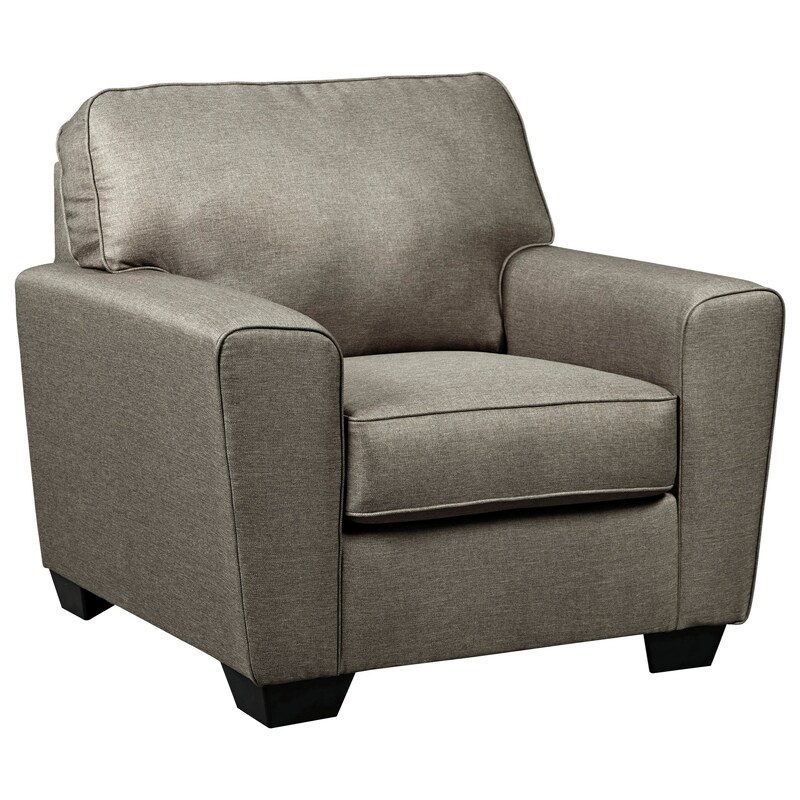 This chair offers a sophisticated yet relaxed look to your decor with its rounded track arms and box seat cushion. It's perfect for seating in a living room, den, home office, or master bedroom. The Calicho Contemporary Chair by Benchcraft at Zak's Home in the Tri-Cities, Johnson City, Tennessee area. Product availability may vary. Contact us for the most current availability on this product.